Once we begin an engagement, it's time to consider the initiatives. These initiatives could include a CRM Strategy, CRM change management execution plan, a data-mining project to create your customer profile, or just the implementation of an e-mail management system. No matter what your CRM initiative is, Solvis can create value by using our own CRM Implementation Methodology. This methodology incorporates what has and has not been successful in prior CRM implementations. 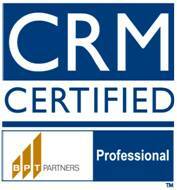 Additionally, it addresses and provides mitigation for areas that have commonly caused problems in CRM engagements. Phase deliverables (Analysis, Design, Construction, etc). Analysis tools (i.e. estimating/measuring ROI, estimating cost of ownership, etc).